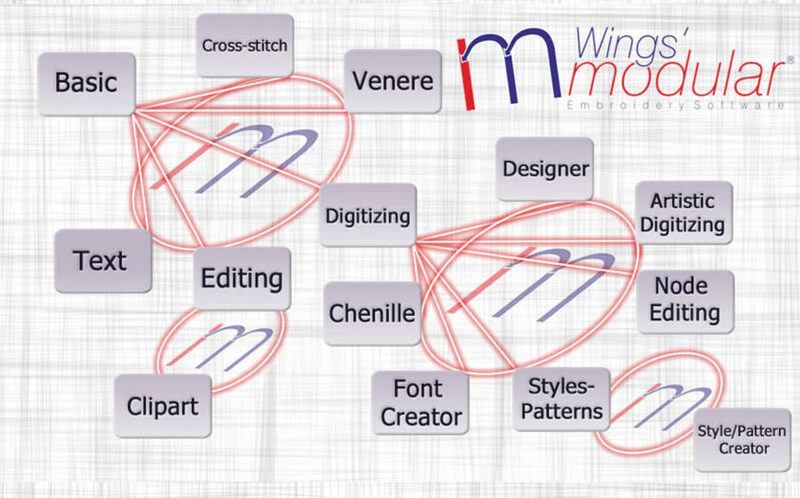 Wings’ modular 6 is professional embroidery software that consists of 14 modules. Each module has different features in order to be easier for you to decide which modules you actually need. You can buy the modules you want and create the embroidery software that fits to your every day embroidering needs. You can add more modules any time you want. DRAWings 8 allows you to focus on the business of embroidery. Don’t be dragged down by technical difficulties and time-demanding design decisions. Take full advantage of controlled automation with built-in, artificial intelligence and knowledge of experienced embroiderers experts in their field. This module is very useful to all embroiderers. Creating text embroidery is in every day production process. The Text module contains all the required functionality for creating high quality text embroidery designs including 255 pre-digitized fonts for Satin, Piping, Zig Zag! This module adds editing features to Wings’ modular®! You can edit selected objects by using the mouse, change the order of the objects and create an array of a selected object or design! Also you can adjust the density of the objects and change the Satin width! You can convert Step objects to Satin objects, edit Step pattern, smooth and split stitch data objects and many more features that are listed below. 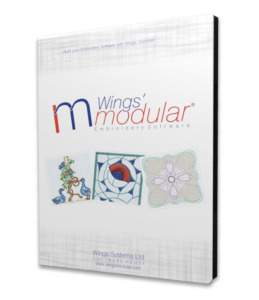 This module completes the editing functionality of Wings’ modular giving you the power to transform any embroidery design easily, while keeping the embroidery quality high with the AI (Artificial Intelligence) that the software has!These editing capabilities can reduce the embroidery design production and help you create high quality embroidery designs with less stitches!